For my gas engine from a steam engine (Transitional Engine) I needed a frame made from I-beams. As you cannot buy these I decided to make them from rectangualr section mild steel. The overall section of the I is 1/2″ wide and 3/4″ deep. The first stage was to slot drill each side of the beam. Here the first cut has been made with a 12mm slot drill the wider face that is 3/4″ wide. 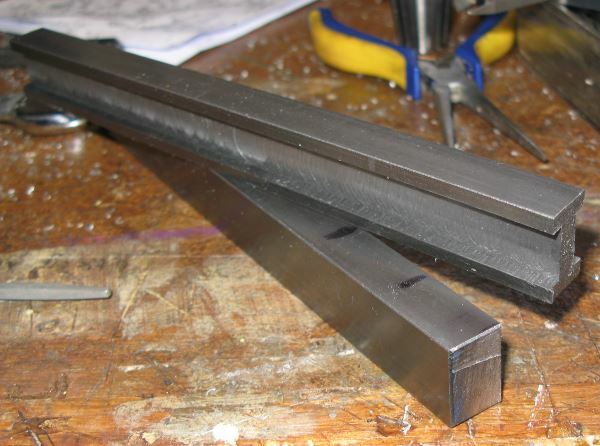 The first beam after milling each side. 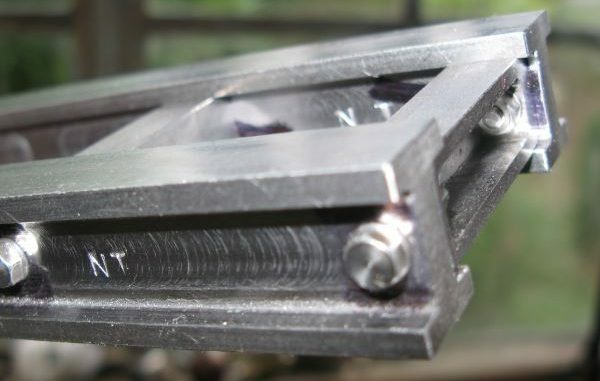 I carefully set up and machined each slot with the y-axis of the milling machine locked out. 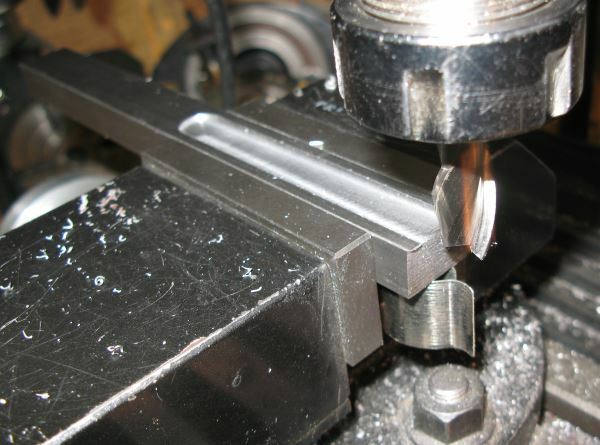 The final cut was made with a 12mm end mill that has a radius of 1.5mm – a rather strange solid carbide end mill that I picked up last year at the Midlands Model Engineering Exhibition. You can see this slight radius in the main picture and the last picture on this page. 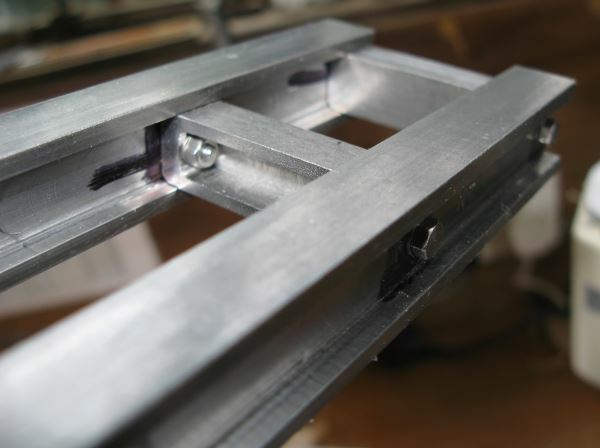 The cross-beams for the frame are bolted in place. Also, note my initials stamped into the I-beams – these will just be visible once I have under-coated and then top-coated the machined section. I’m not a great fan of the mini-mill as it has taken me a lot of time and effort to turns this into a reasonable milling machine, but the results here are rather good, you can read more about the trials and tribulations of my Amadeal XJ12-300 milling machine from the initial review, through to the failed gears, gas strut and belt drive.